Laser cutting – kovo VESUV s.r.o. Laser cutting is the key technology in the company kovo VESUV. It is very advanced technology which involves cutting of precision components from various metal materials (e.g. 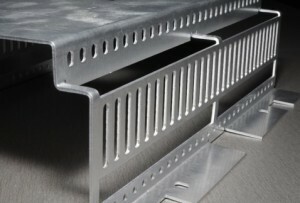 sheets, tubes, profiles), which are subsequently processed on CNC bending machines, welded or provided with connecting elements. The most recent devices in kovo VESUV include fiber laser machines – when the light beam is directed to the cutting head by an optical fiber. The universal machine LT-9 COMBO is a fully automated center that allows carrying out two processes – cutting sheets up to 3000 x 1500 mm and cutting tubes with a diameter from 16 mm up to 225 mm, and rectangular profiles of 160 x 160 mm. Tube laser LT-5 is an automatic laser machine designed to cut tubes of diameter from 15 mm to 70 mm and square profiles 50 x 50 mm. 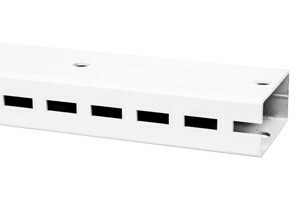 It is characteristic for its first-class product quality and high speed. 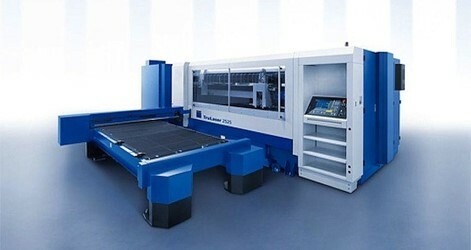 Our company is also equipped with older efficient laser machines of the world leader company Trumpf – Trumatic 3030 and Trulaser 2525 – which are designed to cut sheet metal. The light beam is directed to a cutting head using optical elements and mirrors. Maximum dimensions of processed sheets are 3000 x 1500 mm. 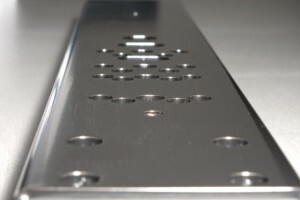 Sheet thickness is up to 15 mm. An appropriate use of cutting gas prevents oxidation of a cutting edge, maintaining very good dimensional tolerance and minimal thermal effects on the base material.